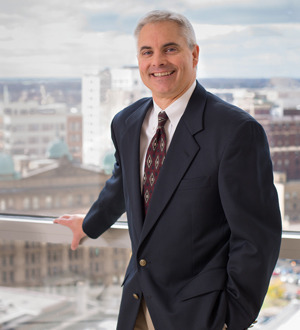 Scott is a member of the firm’s Board of Directors, serves as Managing Shareholder of the Metro-Milwaukee offices, and chaired the Corporate and Business Law Team for eight years. He has been named a leading Wisconsin business transactions and corporate attorney by Law & Politics and Milwaukee Magazine for multiple years. Scott represents a wide variety of businesses and their owners, senior management, investors and lenders in mergers and acquisitions, divestitures, business succession planning, debt and private equity financing, joint ventures, distribution, supply and other commercial agreements, employment and non-compete agreements, commercial real estate acquisition, sale, leasing and financing transactions, and international law matters. He typically serves as outside general counsel to his business clients, advising them with respect to corporate governance, risk management, and other legal and business matters. When representing clients, Scott invests the time needed to understand their financial and non-financial objectives. He also assists entrepreneurs and emerging companies with matters relevant to newly formed and rapidly growing businesses, including selecting a proper choice of entity, evaluating business plans, obtaining start-up and ongoing equity and debt financing, protecting and licensing intellectual property, preparing agreements among owners, and developing executive and key employee incentive compensation arrangements.